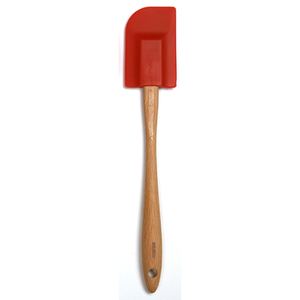 This medium kitchen spatula is an essential item for canning, cooking and baking. Made of silicon, it will not melt, stain, or lose its shape or color. 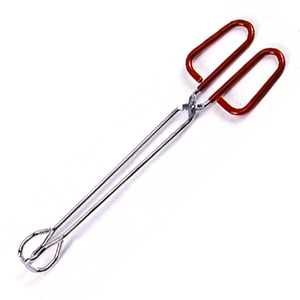 Measures 11.5" 29 cm. Dishwasher safe. Heat resistant to 500F.260C. My black enamel cneanr leaves marks on my white stove top when I am using it I tried putting tin foil under the rings of the burner this helped, but still yellow and black marks really tough to remove. Do you know how I can avoid this?